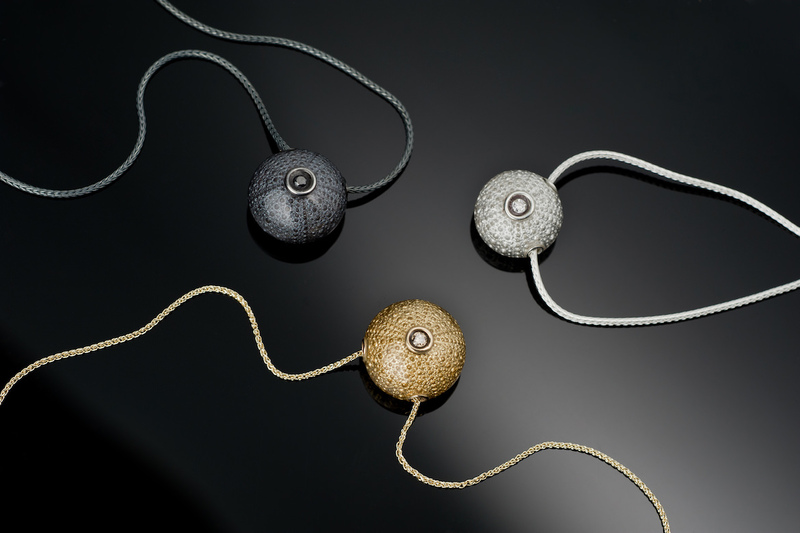 Drawing inspiration from the deep blue sea via the Barbara Jardin jewelry Sea Urchin Collection. I’ve always been calmed by huge bodies of water. This Barbara Jardin jewelry Sea Urchin Collection debuted in February 2016 but it becomes more mystical with every passing day. 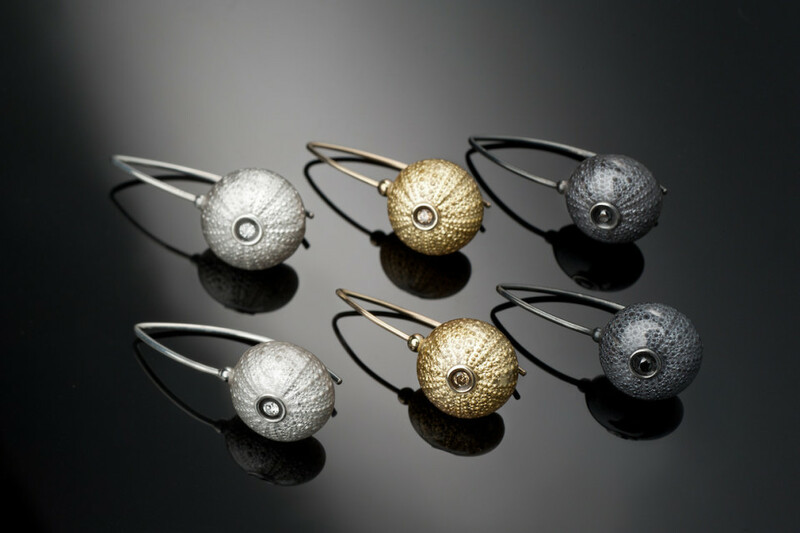 The collection uses tiny, round New Zealand sea urchins that are then lacquered or precious metal plated to become part of the various jewelry designs. 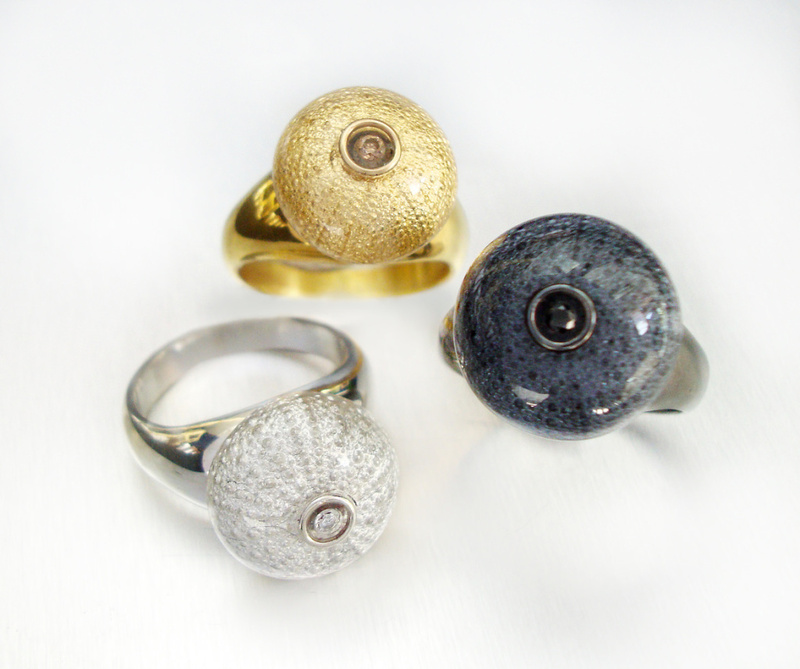 Sea urchin rings from Barbara Jardin of Trinidad. Barbara Jardin was born in Trinidad and returned to the island after studying jewellery making in London. 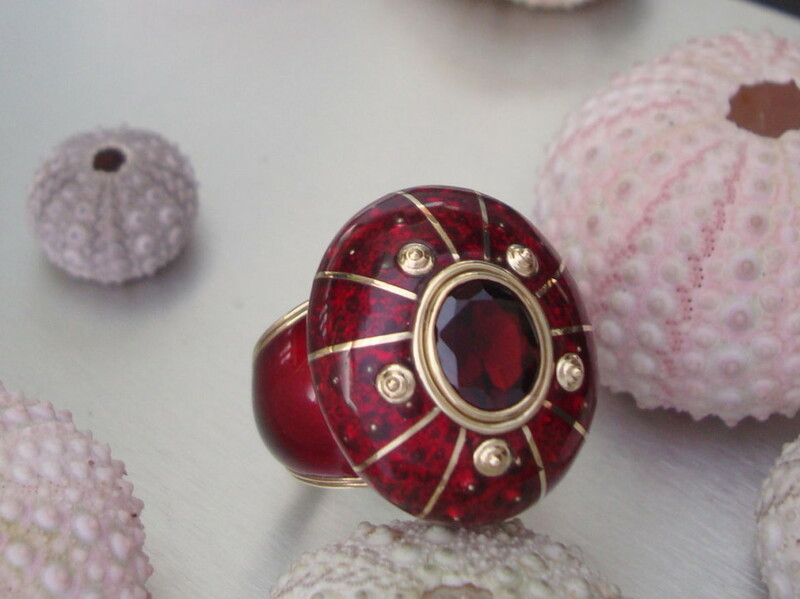 The terrain and natural beauty of the island informs her work and can be seen in her innovative use of recycled, found and ethically sourced materials blended with precious metals and stones. From recycled ivory and tortoise shell to beetle wings, feathers and wood, Jardin shows mastery with honoring the translucence and perfect design of nature. Sea urchin pendant on chain.